Only the challenge household will be played. 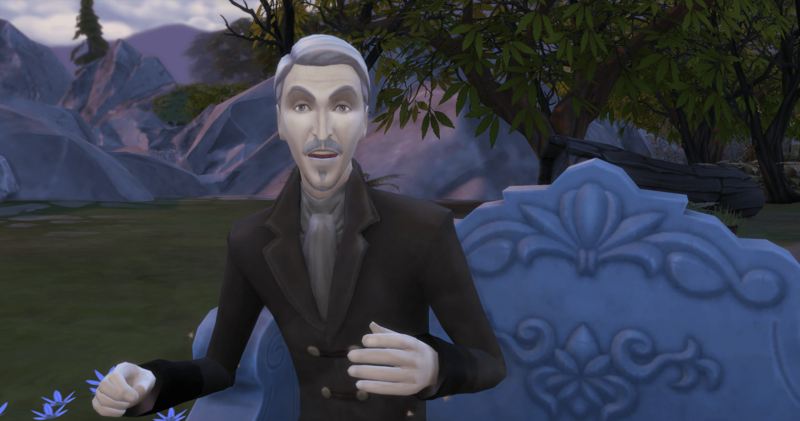 Sims moving out will have their Played tag removed so that they will age out through story progression – although any sims from this household will be immortal due to their vampirism so it really won’t matter. 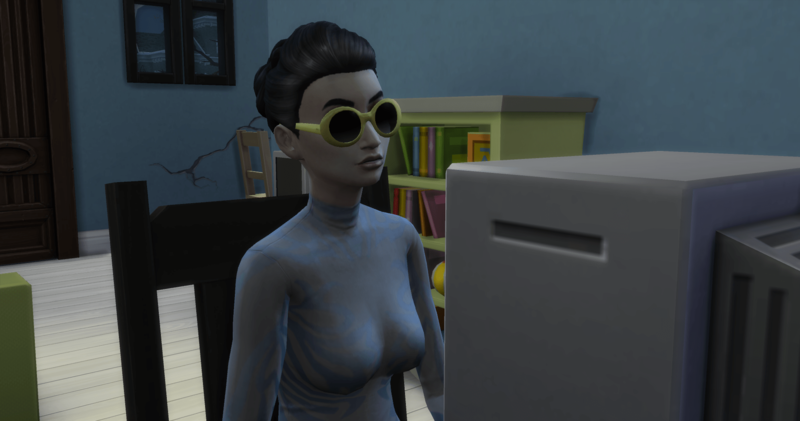 We join Layla and find her wearing sunglasses. She did not own any sunglasses when she moved to Forgotten Hollow. Giving me Audrey Hepburn vibes. 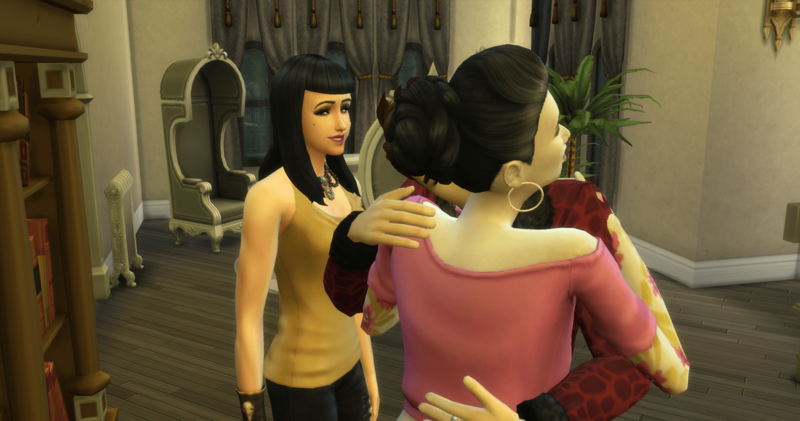 She meets Caleb Vatore during the welcoming party. When she realizes that Caleb is also a vampire, she asks him for some training. He agrees and after some sparring, they are friends. Caleb asks Layla to move in with him, which she agrees. When they get to Caleb’s house, Layla realizes he lives with his sister. Lilith. Lilith never leaves them alone – she is always hovering nearby. She walks straight over to the Count’s house. She needs a new place to live. 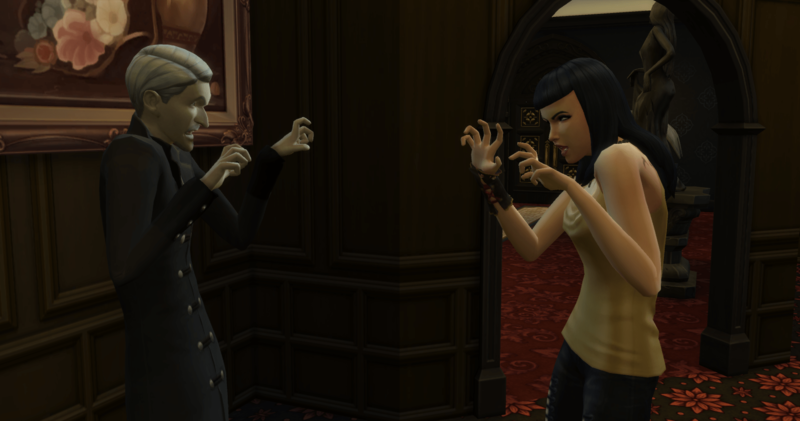 The count is evil, but Lilith is irritated at Layla moving in and is willing to entertain any option. 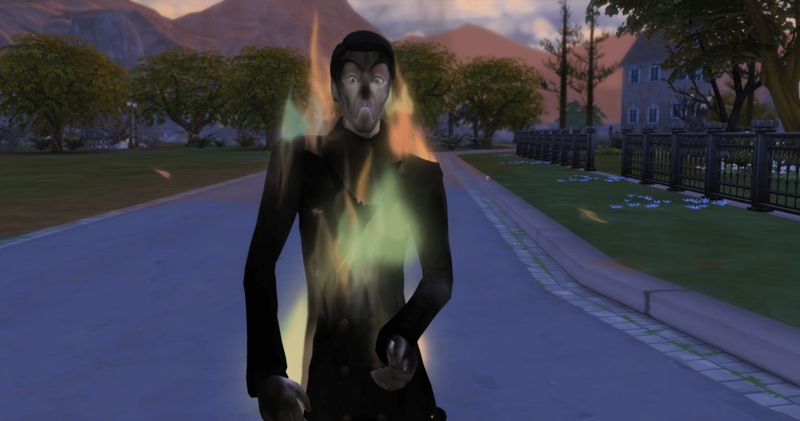 The count and Lilith hiss and spit at each other, but in the end, she and Caleb move in with him. To her dismay, Caleb brings Layla also. So much for that plan. The count takes a walk to get away from the squabbling. He wonders why he asked any of them to move in. But, unfortunately, he overestimates his tolerance to the sun. He can’t quite make it back to safety. As the count is burning in the sun, Layla tells Caleb that she is pregnant. As always, Lilith is standing right there. 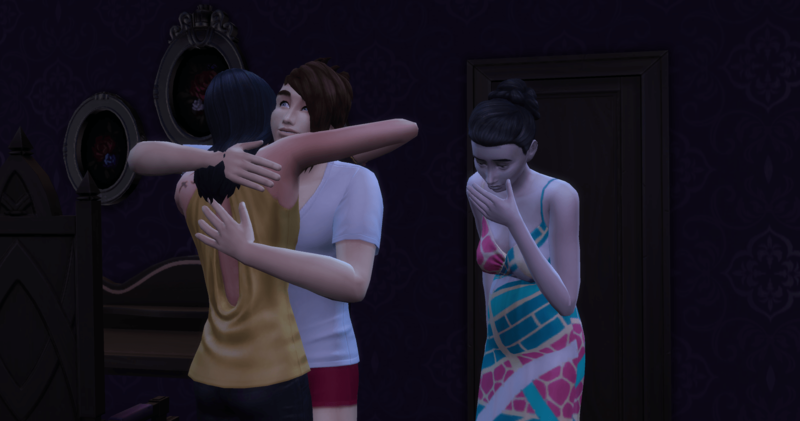 Lilith jumps in quickly and hugs Caleb, totally ignoring Layla. Layla realizes the bonds between the siblings are too strong for anyone to fight. Layla tells Caleb to choose, and he does. It turns out that Caleb has many romantic interests (not to mention his dalliance with Dejah) and he isn’t willing to choose romance over family. 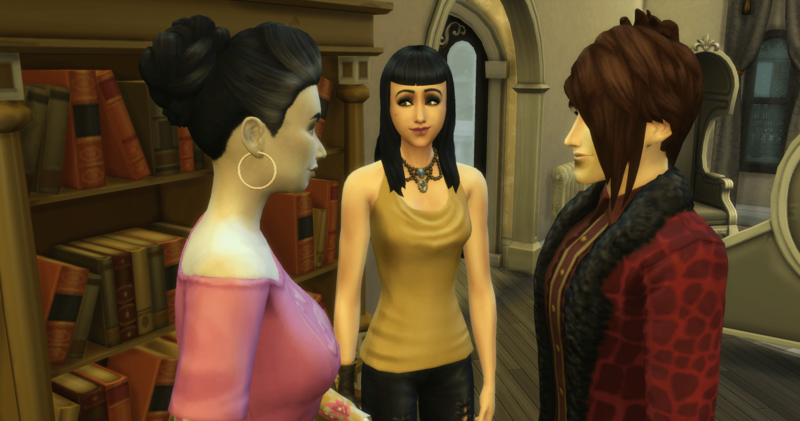 Layla refuses to move out of the house, and Lilith finally convinces Caleb to move out with her. 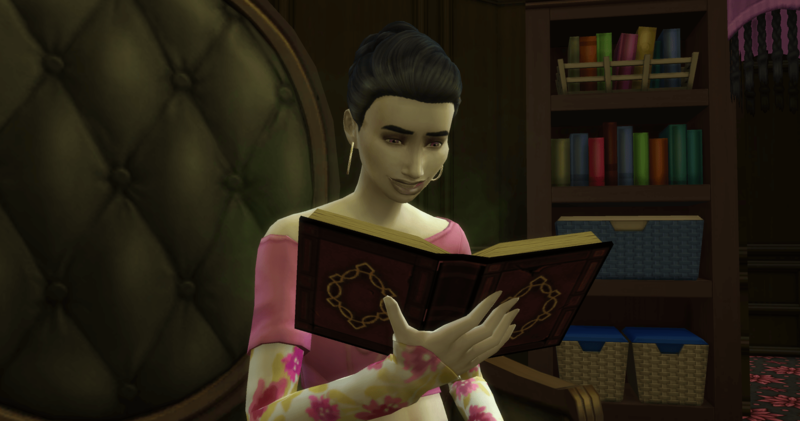 Layla settles into the huge, lonely, mansion and awaits her nooboo. 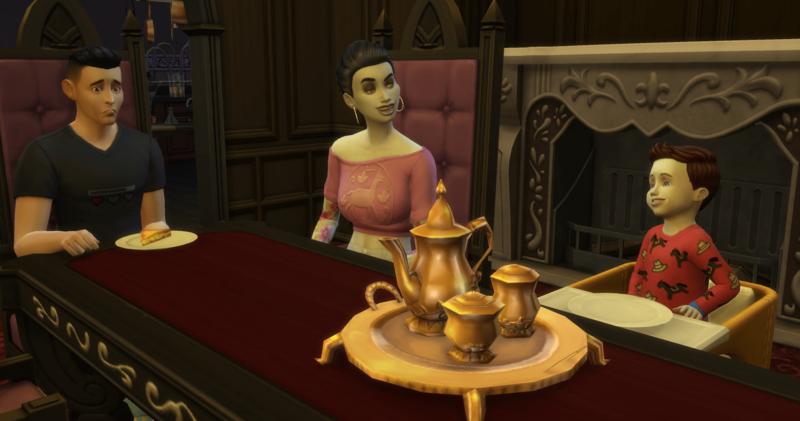 During the waiting, she masters Vampire Lore and becomes a Prime Vampire. 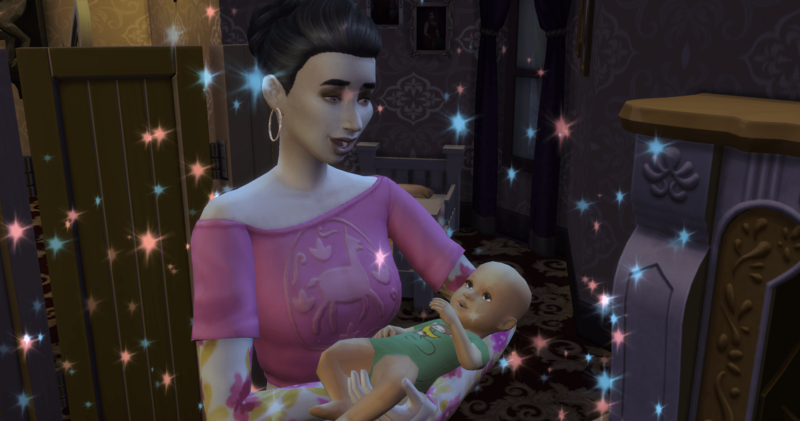 Soon she will be a Master Vampire and will rule the world! 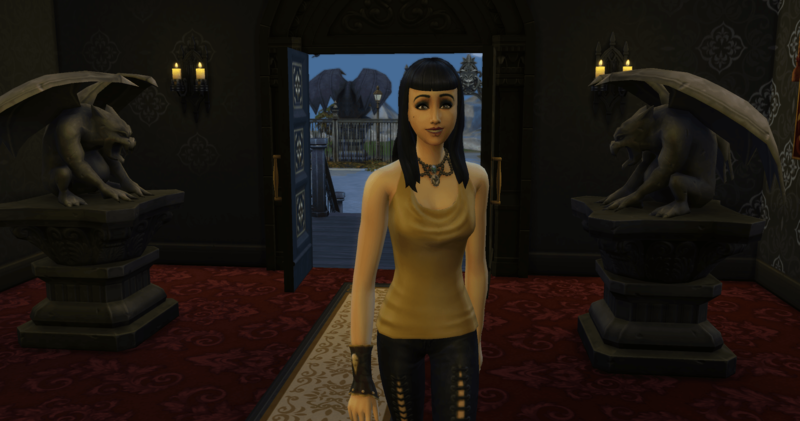 Then, she meets Alexander Goth. 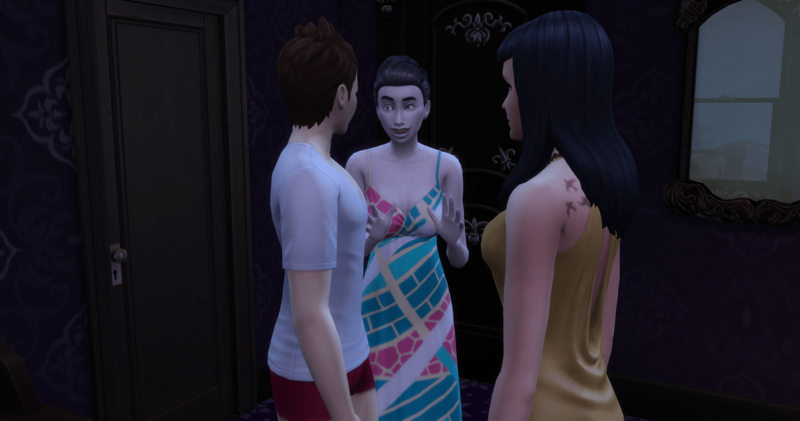 He is intrigued with the vampire pregnancy and keeps coming back to visit. Layla decides Alexander will be her next conquest. 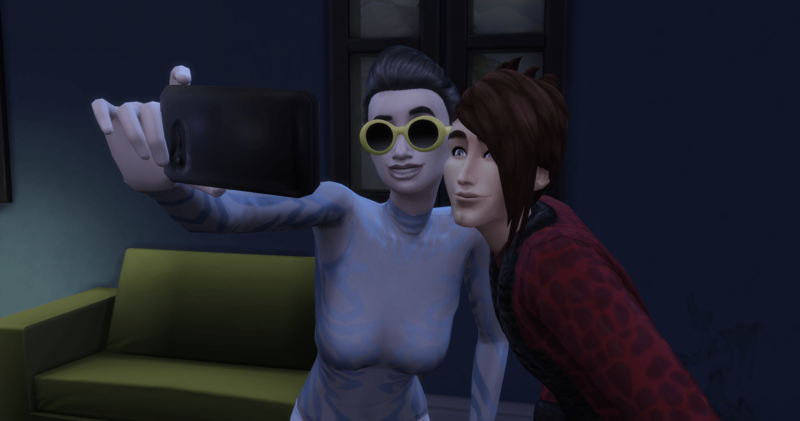 She spends a lot of time building her relationship with him – building and rebuilding because Alexander rejects the romantic interactions regularly. Layla finally gets him to kiss her. Alexander was a tough cookie to crack. Might have something to do with the fact that he is married and Layla was pregnant. 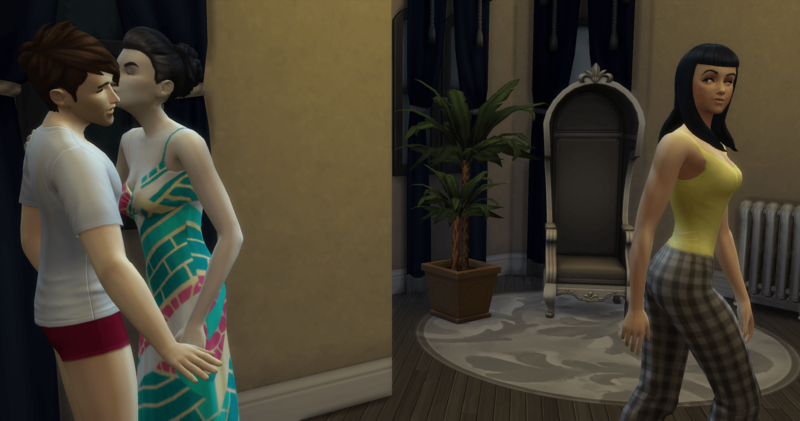 Layla is persistent and finally Alexander agrees to leave his wife and move in. Caleb comes by to see his son, but he doesn’t stay long. 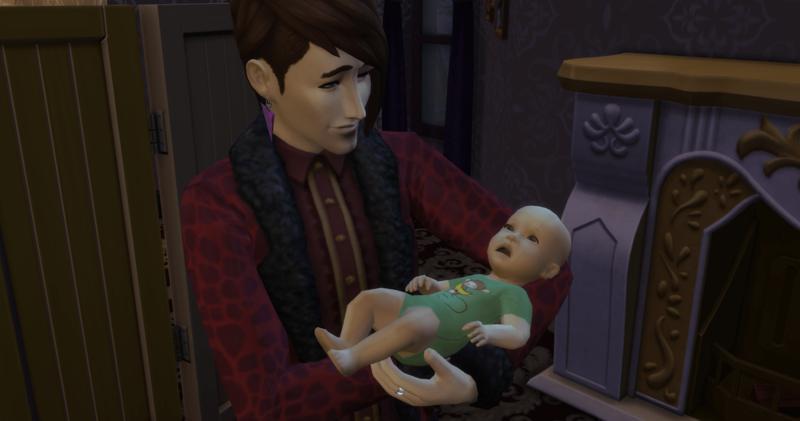 Lorcan cries constantly while Caleb is holding him. 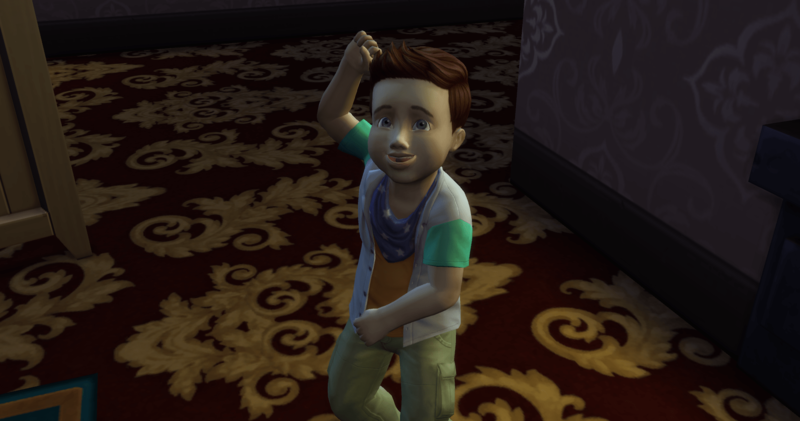 And then we get a Wild little toddler. The family has dinner in the early morning. Layla can’t eat human food, but she makes grilled cheese sandwiches for her boys. She doesn’t notice Alexander’s pout because he is watching Lorcan. 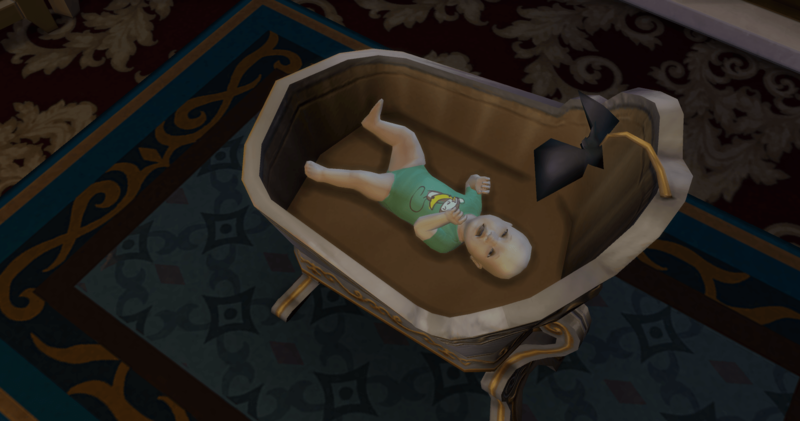 Alexander begins to wonder just what he was thinking to leave his wife, move in with a single vampire mom and her toddler son – who will most definitely be a vampire when he grows up. What is he going to do now?